ST. GEORGE – A Bloomington Hills man accused of taking part in a 2010 double-murder once again appeared in 5th District Court Friday morning as his attorneys began the process of arguing the legality of a police interview. Lawyers for Brandon Perry Smith argue that police failed to make sure their client was adequately aware of his right to have counsel present while being questioned. “He was never asked (by police) if he understood his rights; he never stated that he understood his rights; and totality of the circumstances does not establish that he possessed the requisite level of comprehension to knowingly and intelligently waive his rights,” Gary Pendleton, Smith’s attorney, wrote in a motion filed earlier this year. Judge G. Michael Westfall heard from both sides, along with testimony from the former police detective who had interviewed Smith. However, no ruling was made from the bench, as the judge will take time to review the evidence while the attorneys file responses and counter-responses related to the potential suppression of evidence. The next hearing related to the suppression motion is scheduled for June 12. 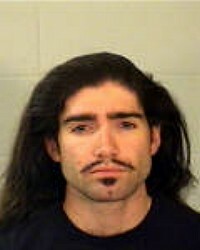 Smith, 33, is accused of killing 20-year-old Jerrica Christensen in the early hours of Dec. 11, 2010. He has since been charged with first-degree felony aggravated murder and third-degree felony aggravated assault in connection with the incident. He pleaded not guilty to the charges on March 25. If convicted, Smith could face the death penalty. During the hearing, an audio recording of the call Smith put into police following the fatal incident was played. In the call, Smith tells the dispatcher that a woman had been killed by his friend, later identified in the call as Paul Ashton. Smith recounted over the phone the events that led up to the murder of Brandie Jerden and the attempted murder of James Fiske by Ashton. He sounded emotional when telling the dispatcher Ashton had shot and killed Jerden after she had allegedly hit Ashton with a toolbox. Smith then said he blacked out and eventually woke up covered in blood. Police officers were sent to Smith’s location in Santa Clara at the time and brought him back to the police station. Once there, he was interviewed by then St. George Police detective Chris Traini. The former detective testified in the suppression hearing Friday. Traini said he had interviewed Fiske and Ashton prior to questioning Smith that morning and was aware of his potential involvement, as well as the call to police, though he hadn’t heard the call for himself beforehand. “I was told he wanted to tell his side of the story and that he had blanked out and had blood on him,” Traini said. Video and audio recordings of the part of the interview where Traini told Smith his rights were played in the courtroom. Smith appeared to joke about not being able to afford a lawyer, Traini said. The former detective then told Smith to keep his rights in mind as they continued with questioning. Pendleton asked Traini if he asked if Smith understood his rights to counsel or if he explicitly expressed a desire to waive his rights on the matter. “At no time in this interview did you clarify if Mr. Smith wanted a lawyer?” Pendleton said. Traini referred to his telling Smith to keep his rights in mind as they talked and said at no time did he mention wanting a lawyer present. He also said Smith appeared to give hints of acknowledgment as he was told his rights, like a subtle nod. During the interview, Traini said, Smith appeared calm, stoic and disconnected and never showed any great display of emotion. Following Traini’s testimony, Westfall said he would review exhibits supplied to the court before rendering a judgment. That judgment may not be issued until after the summer, however, as a number of hearings were scheduled to accommodate the pending back-and-forth of briefs and responses between the defense and the Washington County Attorney’s Office. Smith’s case stems from the December 2010 slayings of Christensen and Jerden and the attempted murder of Fiske. The victims were at Ashton’s home, helping Jerden and her boyfriend move out, when the incident occurred. According to court documents and statements made during previous court hearings, Ashton, who had been cooperating with police as an informant, feared he had been exposed and felt his life was threatened. Smith went to Ashton’s home and gave him a gun for self-defense after the two had talked over the phone. While there, an argument started between Jerden and Ashton that resulted in Ashton shooting Jerden and Fiske. Jerden was killed, and Fiske was wounded but managed to get away and call police. Christensen had locked herself in the back of the home and was found by Smith. He is accused of beating the woman with a blunt object, strangling her and slitting her throat in an alleged attempt to keep her from testifying in court. Asthon pleaded guilty to Jerden’s murder and the attempted murder of Fiske in September 2013 and is currently serving a life sentence in prison. The defense has argued that Smith was manipulated by Ashton into killing Christensen; the state argues otherwise.